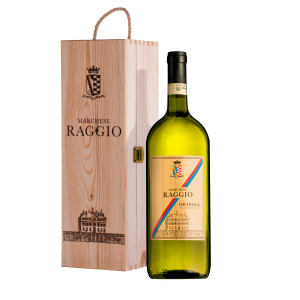 Marchese Raggio Bianco is a dry white wine. It has a straw-yellow color with pale green reflections. 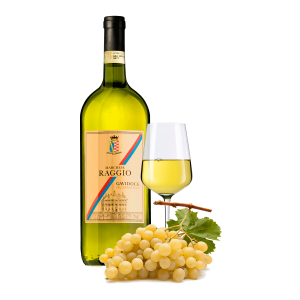 It is made from Cortese grapes grown within the municipality of Gavi on a typical sandy soil rich in precious minerals. The wine first ages for 6 months in stainless steel tanks which exalt the aromatic characteristics. Then, it ages in the bottle for about 6 months more. 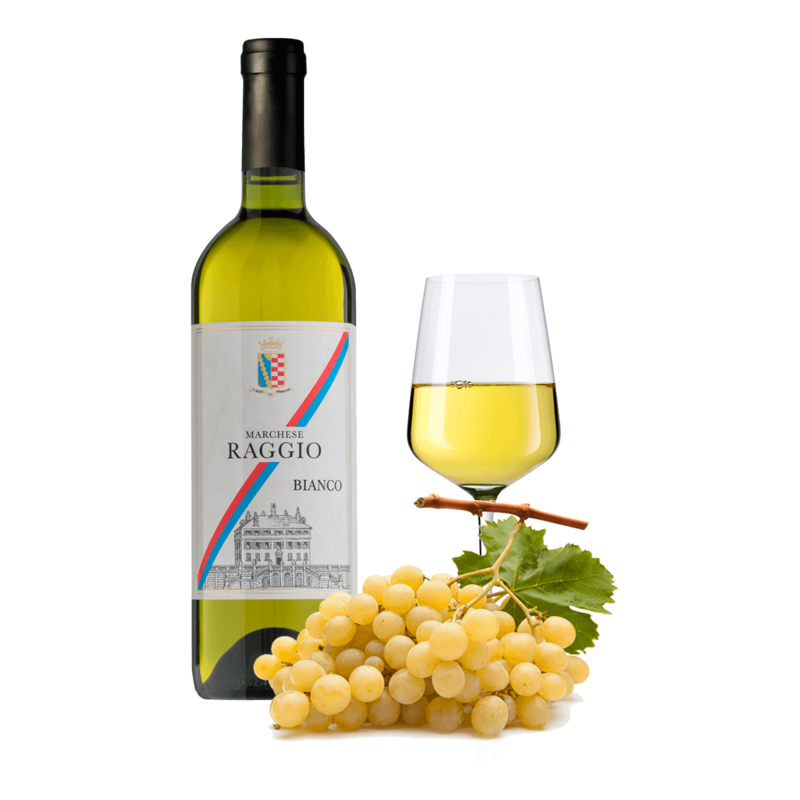 The result is an extremely pleasant wine, with intense aromas and a crispy acidity. Aroma: Pleasantly fruity, intense, with notes of acacia flower and citrus, and a light mineral touch. Flavor: Fresh, savory, extremely persistent, confirming the aromas. Service temperature: Marchese Raggio Gavi DOCG is best served at about 12°C. Pairings: Perfect with shellfish, seafood, appetizers, first courses, sushi, fish, and delicate white meat. Shipping costs: €8.95. SFree shipping for orders above €60. Only registered customers who have purchased this product can leave a review. Your online payments are protected. We also accept payment on delivery. Shipping costs €8.95. Free shipping for orders above €60. Average shipping times: 48-72 h.